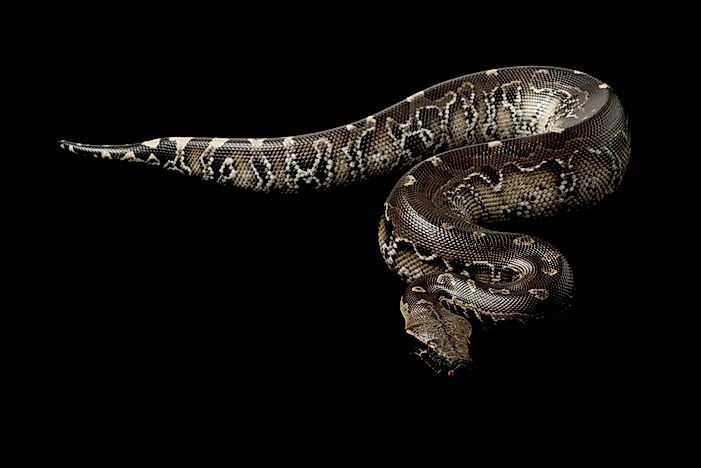 There are 11 surviving species of the genus Python which includes non-venomous reptiles, some powerful enough to kill humans. 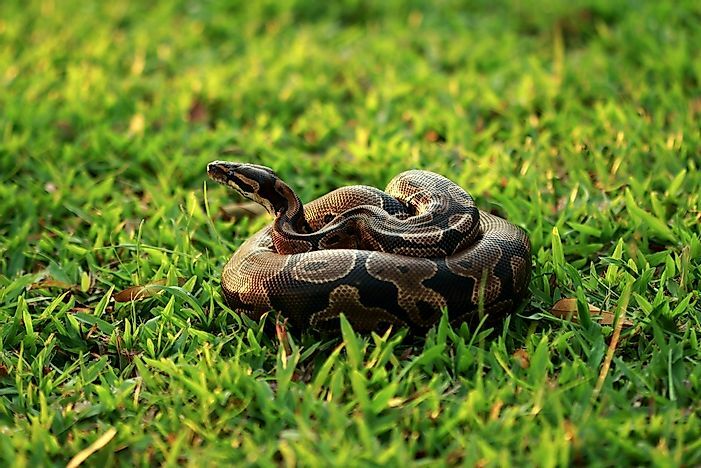 A ball python sitting in the grass. The true pythons are a group of non-venomous constrictors belonging to the genus Python of the family Pythonidae. These snakes are found in Asia and Africa where they occupy a wide variety of habitats. 11 species of pythons are reported to live in the world today. Here, we present these 11 species and their important characteristics. Python timoriensis is a Southeast Asian python species. These pythons have a fairly long size of over 7 feet but relatively thinner than other pythons within their range. Also known as Timor pythons, these snakes are fast moving and highly defensive in nature. They are known to feed on mammals and birds. The African rock python () is a massive python of sub-Saharan Africa and includes two subspecies, the Southern African rock python (P. sebae natalensis) and the Northern African rock python (P. sebae sebae). Specimens of this python have been found to grow as long as 20 feet. Within its wide range, the African rock python occupies a wide variety of habitats ranging from forests to deserts but prefers to live near water sources. These pythons kill prey by constriction and can consume animals as large as antelopes and crocodiles. Well-substantiated reports of African rock pythons attacking humans have been noted, but there is not substantial evidence regarding the consumption of humans by these snakes. However, the python is highly feared in its range. 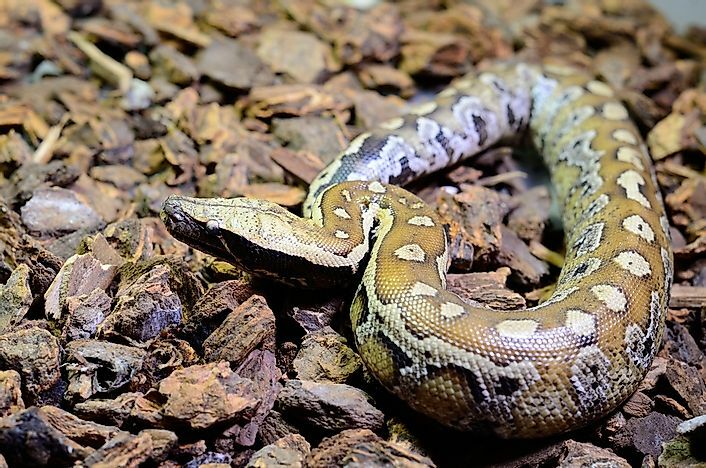 Hunting for food and leather, persecution due to fear, and capture for pet trade has resulted in a decrease in the population of these non-venomous pythons. The reticulated python () living in Southeast Asia is the world’s longest reptile and also one of the three heaviest snakes living today. 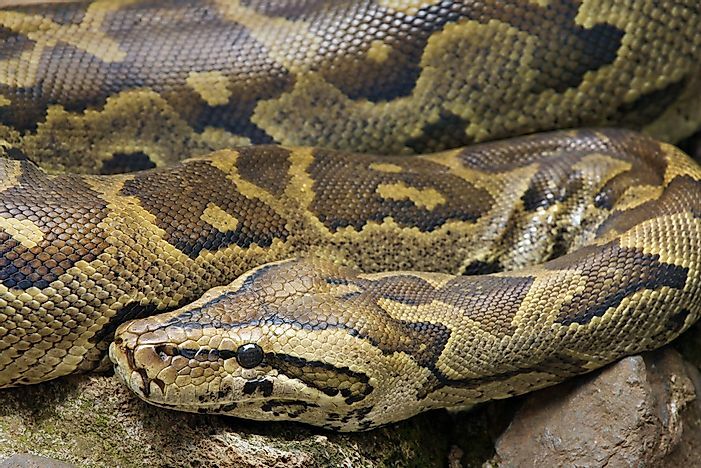 Even though reticulated pythons are extremely powerful, attacks on humans are not common. Due to its excellent skills at swimming, these pythons have been able to swim in the ocean and colonize many small islands within its range. Reticulated python specimens with a length of 21.3 feet have been detected while the weight of these snakes can be as high as 75 kg. The reticulated python inhabits the woodlands, grasslands, and forests within its range. Mammals and occasionally birds form the prey base of these reptiles. 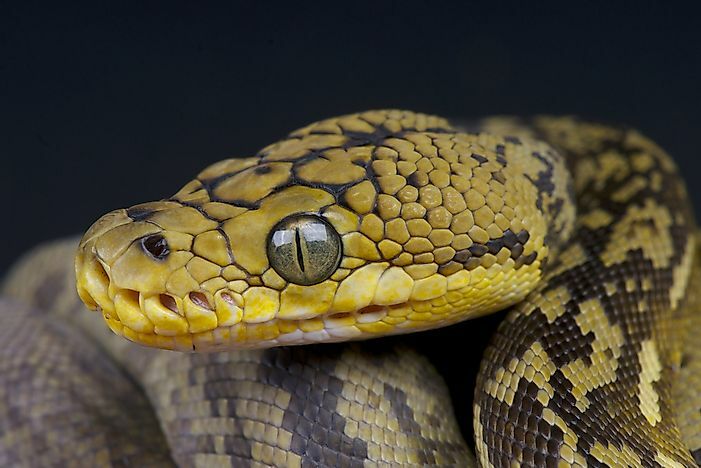 There have been scattered reports about the reticulated python killing and eating humans. 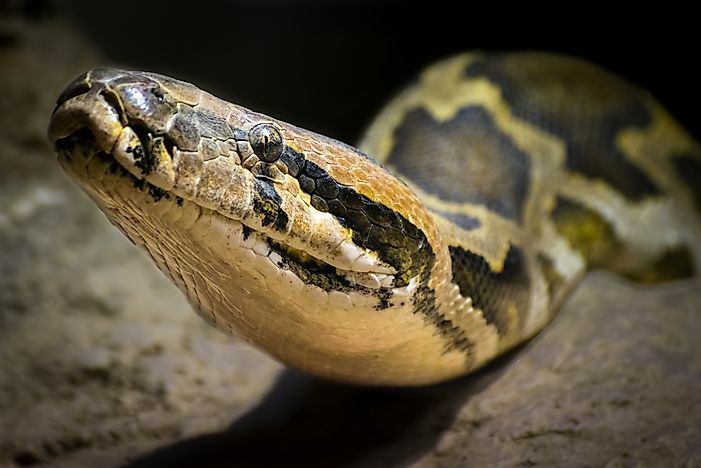 Reticulated pythons have often been kept as exotic pets, but safety measures need to be implemented to ensure both the animal and keeper stays safe. 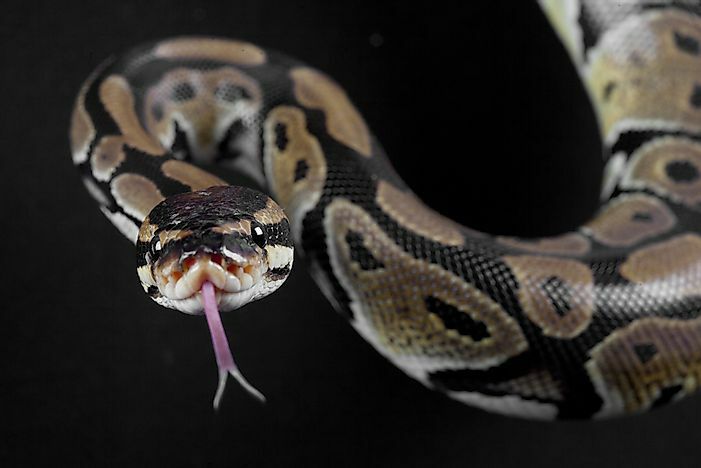 The ball python or the royal python () is a sub-Saharan African non-venomous constrictor. 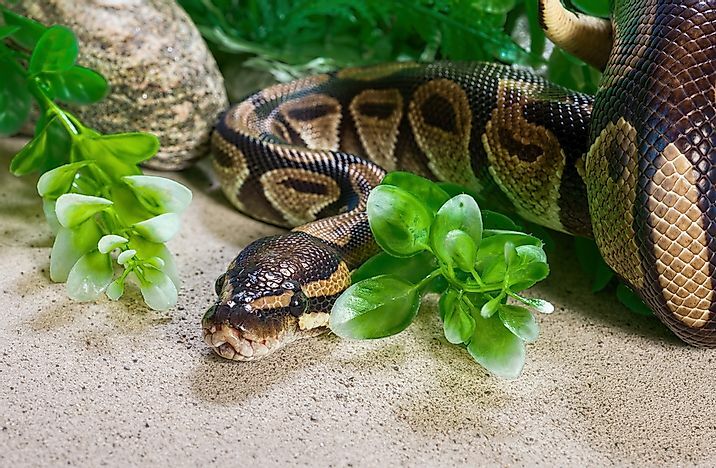 Due to its smaller size compared to other African pythons and relatively docile in nature, the snake is heavily exploited for use in the pet trade. The snakes have long lives with the oldest specimen reported to live for over 47 years. The pythons are called ball pythons due to their habit of curling up into a ball when threatened. They are also called royal pythons since they were worn by African rulers as jewelry. Adults of this species generally do not attain lengths over 6 feet. 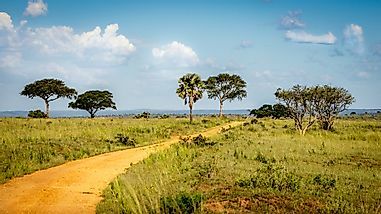 The snakes prefer to live in empty burrows of mammals and termite mounds within their habitat in savannahs, grasslands, and wooded areas of Africa. , also known as the black-tailed python or the Indian python, is a python native to Southeast Asia and the Indian subcontinent. The species attains a length of about 9.8 feet and is lighter in color than the Burmese python. Within its range, the Indian python inhabits grasslands, swamps, rocky foothills, river valleys, and marshes. These pythons are strict carnivores by nature and feed indiscriminately on reptiles, mammals, and birds. Python kyaiktiyo, also called the Myanmar short-tailed python is a non-venomous python that lives in Myanmar where it is endemic to the country’s Mon State. The snakes grow up to about 6 feet in length. 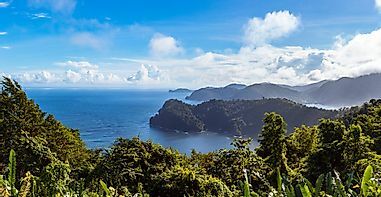 Only a few individuals of this elusive and newly discovered species have been studied. IUCN has declared this species as endangered. Python curtus, commonly known as the Sumatran blood python, is a species of the Python genus that is found in Southeast Asia. Three subspecies of this snake exist. Adult snakes of this species attain lengths of 4.9–5.9 feet and are stoutly built. 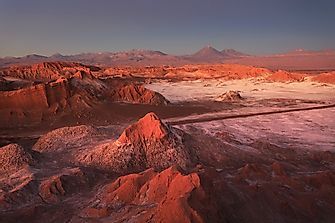 The color of these snakes varies from beige to grayish-brown ground color with brick- to blood-red colored blotches. The python feeds on birds and mammals and is often kept in homes as an exotic pet. The pythons have also been heavily exploited for harvesting leather. 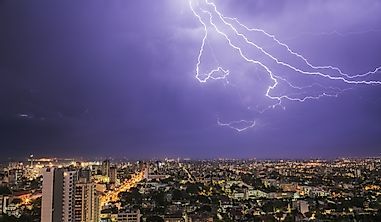 CC Image courtesy of Tontan Travel. 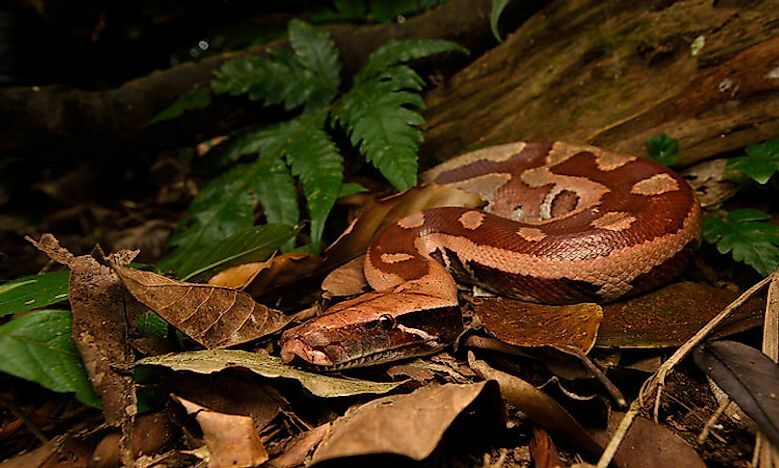 Commonly known as the blood python, the Brongersma's short-tailed python (Python brongersmai) is endemic to the Malay Peninsula where its range includes peninsular Malaysia, Sumatra, Thailand, and a few islands in the region. Within its range, the blood python inhabits tropical swamps and marshes. 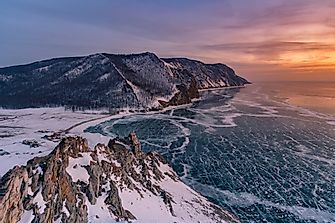 The species is crepuscular by nature meaning it is most active around dusk and dawn. Adult males attain a length of around 91–152 cm and females grow up to about 120–180 cm. The blood pythons are colored bright red to orange to a dull rusty red. The Borneo python (Python breitensteini) is a non-venomous species of python that is endemic to the Borneo island. Adult snakes of this species can grow as long as 7 feet and weigh as much as 13.6 kg. The color of these snakes is usually tan with brown blotching. These snakes are usually found at lower elevations at the edges of swamplands, and flood plains that are poorly drained. The Burmese python () is one of the world’s five largest species of snakes. The python is found throughout a wide range in South and Southeast Asia. These snakes live near waterbodies and are semi-aquatic in nature and can also live on trees. 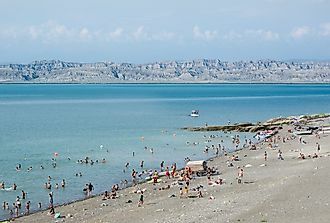 They are excellent swimmers and also efficient climbers due to their prehensile tails. The Burmese python attains an average length of 12.1 feet but can also grow up to 18.8 feet. 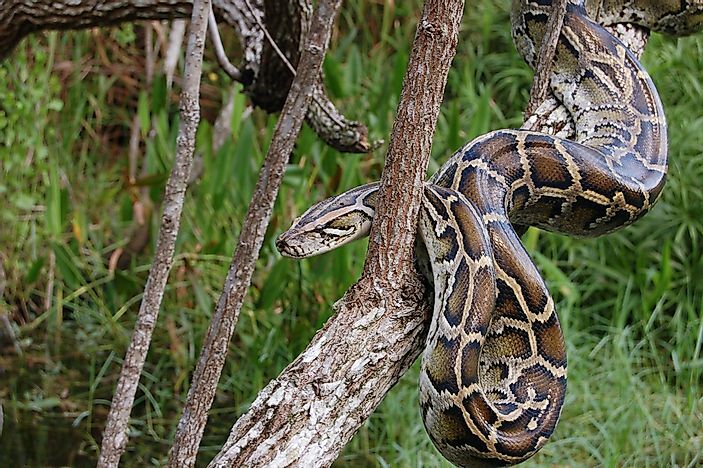 The introduction of Burmese pythons in the Americas by humans has led to the establishment of invasive populations of this species in places like the Everglades. These snakes are nocturnal and carnivorous by nature and feed on mammals and birds. Wild populations of the Burmese python have been classified as Vulnerable by the IUCN due to illegal hunting and habitat destruction. The Angolan python (Python anchietae) is one of the species of genus Python that is endemic to southern Africa. The python grows up to 6 feet in length, and the color pattern varies from reddish-brown to black with cream or white colored spots and bands. The ventral surface of the python is yellowish in color. The snakes are found in parts of northern Namibia and southern Angola where they inhabit rocky outcrops or grassland and open brush areas with rocks strewn on the ground. 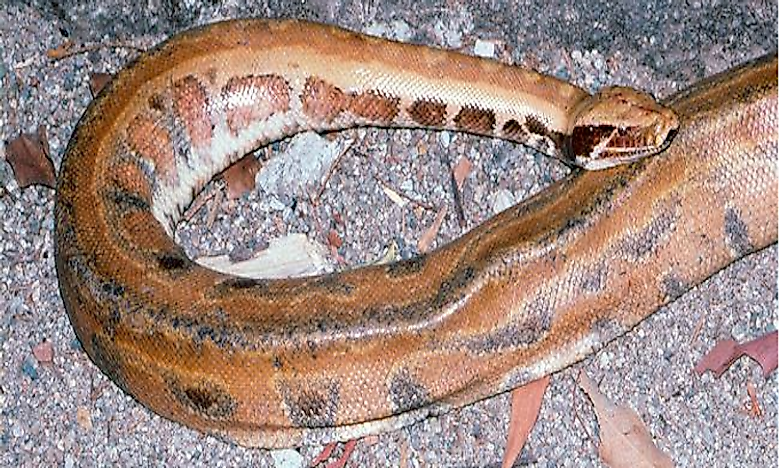 The Angolan python feeds on small mammals and birds.